This is the first in a series to introduce you to the goaty girls around here that make all the cheese deliciousness and creamy soap possible! 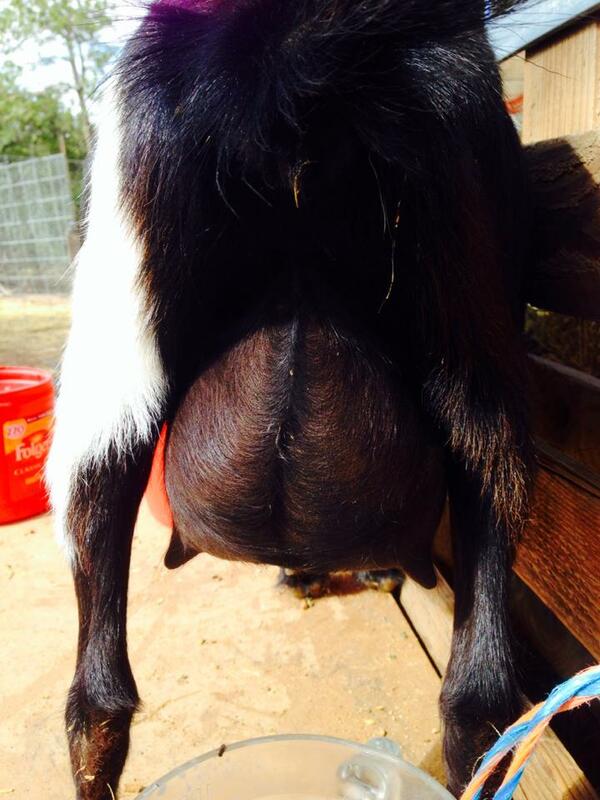 Today I bring you Petunia who will be freshening (giving milk) for the second time this year. 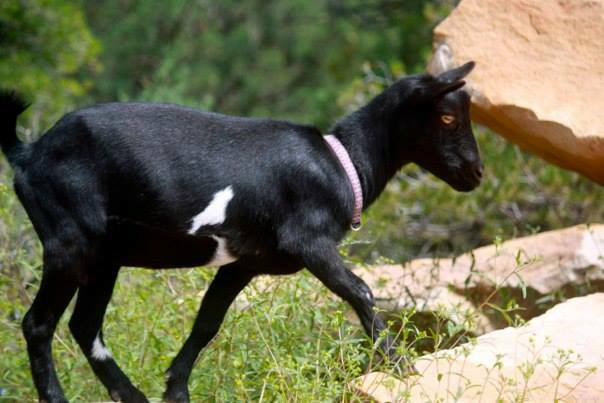 She’s a beautiful glossy black and white and doe who came to us from Prairiewood Ranch in Edgewood, NM. She has large, alert golden eyes and can be a little shy. Some of her favorite things include bouncing across the huge rocks on the mountainside and butting heads with our German Shepard named Cisco. She also loves to prune the low hanging branches of juniper trees. 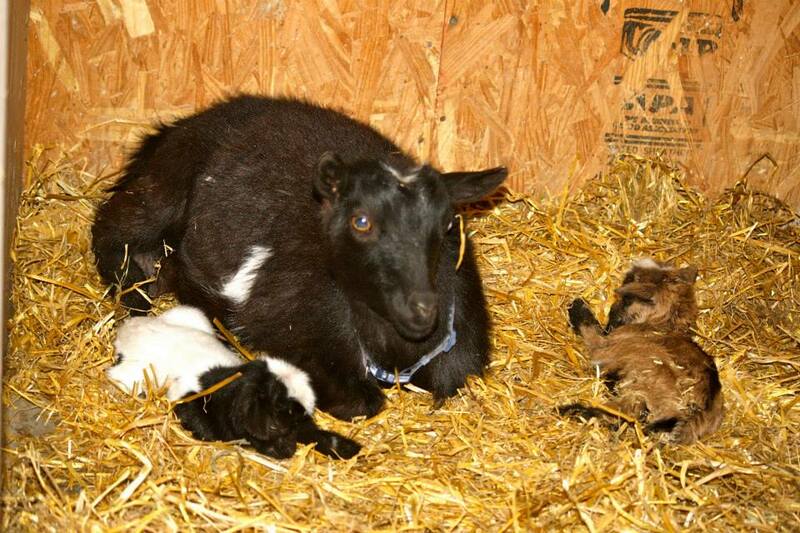 Last year when Petunia kidded (had baby goats which are called kids) she gave birth to two beautiful kids. One adorable black and white buckling who we named Scooter and one exotic looking tri-colored doeling named Violet. Both kids inherited their dad’s vibrant blue eyes (Petunia came to us bred at Prairiewood Ranch when we purchased her). Petunia is a protective momma and raised her babies with pride last year. 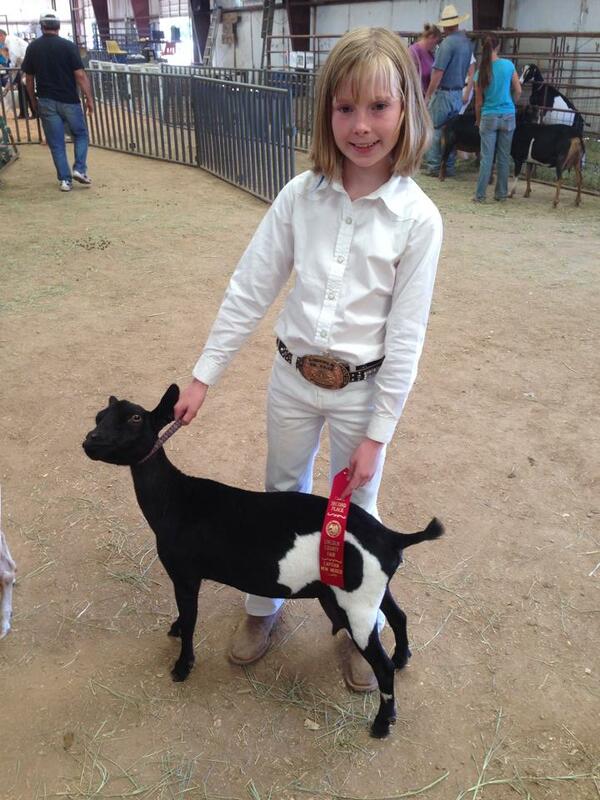 The kids showed Petunia at our county fair as a 1 year old doe in milk and she won second place in her class of Nigerian Dwarves (another of our does won first place). She looks so beautiful all trimmed up and polished for the county fair. While her udder blends in a bit more with her black coloring and doesn’t give the same bursting with milk appearance look that our other doe had last year she’s an awesome milker. She consistently gave more milk than our other milker. We doe raised our kids last year Petunia did an awesome job of keeping up with the milk demands of her babies and giving us a solid once a day milking. 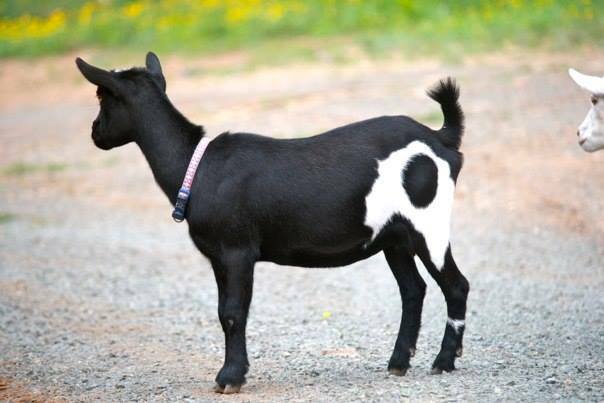 This year she’s bred to our tri colored buck Batman and we can’t wait to see the babies she brings us!